One of Washington's original homes for socializing, Decatur House, celebrates its 200th anniversary. Decatur House on Lafayette Square was designed by Benjamin Henry Latrobe, who designed the U.S. Capitol building. Washington is filled with the ghosts of history. One of the more interesting tales is that of Stephen Decatur, whose magnificent home miraculously still stands, 200 years after it was constructed at the corner of H Street and Jackson Place, across from the White House on Lafayette Square. Commodore Decatur built the large home after helping lead numerous naval victories against Britain, France and the Barbary States, establishing the United States Navy as a rising power. 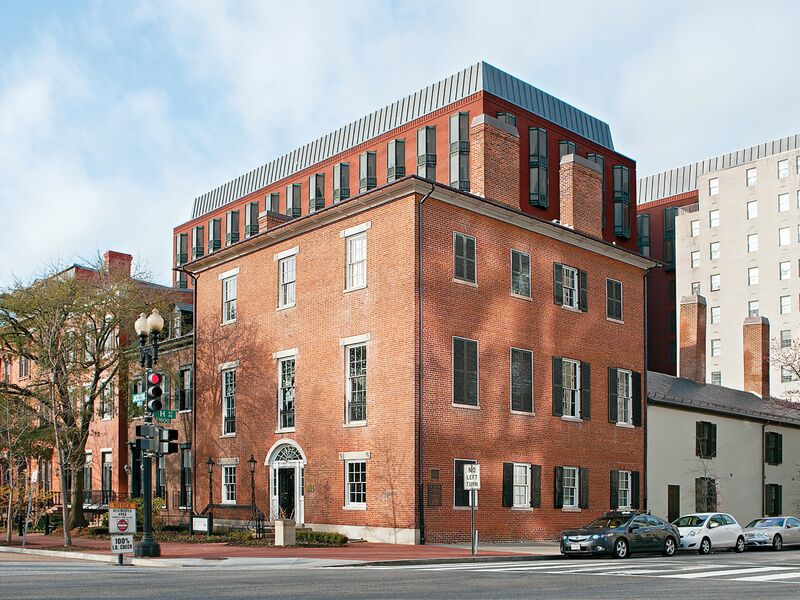 Decatur House, as it’s now known, was the center of Washington society in the early 19th century, while Decatur himself became an affluent member of that circle, counting James Monroe and other Washington dignitaries as friends and confidants. View looking west through the apse to the rear hall. Decatur grew up on the eastern shore, and his wife, Susan Wheeler, the daughter of Luke Wheeler (mayor of Norfolk, Va.), was well known for her beauty and intelligence among Norfolk and Washington society. The two formed an early American dynamic duo. “Today Washington, DC, is our governmental center, but this was certainly not the case in the early [19th] century after the ravaging of the place by the British during the War of 1812. The construction of their house, in complete isolation on Lafayette Square at the time, was a statement by them about permanence, an endorsement by the country’s first great naval hero and his wife, of the bold democratic experiment that was the United States,” Fazio tells me. Decatur purchased the land on the northwest corner of what was then President’s Park with prize money that he earned for his naval conquests in the War of 1812. In contracting famous English architect Benjamin Henry Latrobe, the same man who designed the U.S. Capitol building, for the project, Decatur established the first private residence in the White House neighborhood. 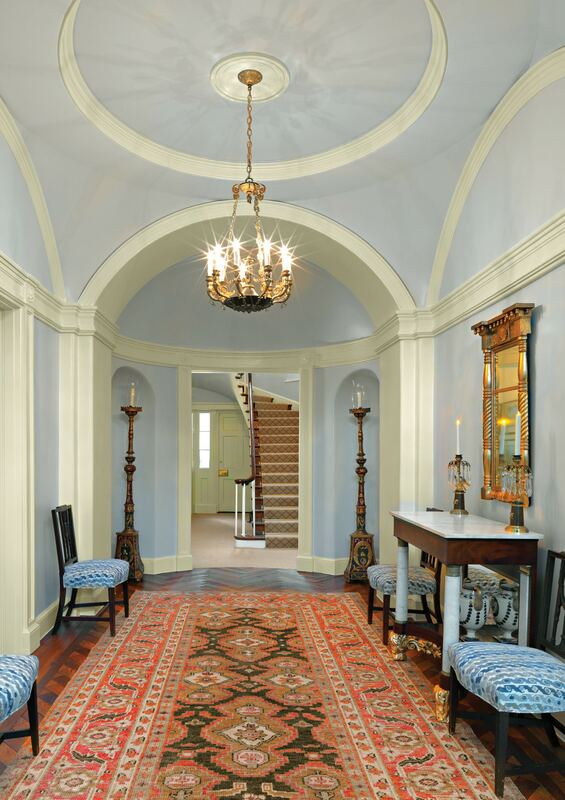 “Decatur House is interesting for its origins and for the long list of dignitaries who occupied it,” says Fazio. “For those who are inclined to closely study the building’s layout, it is most interesting as an architectural response to early [19th]-century American urban life by the country’s first great professional architect, Benjamin Henry Latrobe.” It was also, he notes, “unorthodox in having its original kitchen facing a public square and always intended by the Decaturs to be rentable when they were away for long periods.” Apparently, we can also add that the home was our nation’s first Airbnb.